I am, rather unfortunately, an all-or-nothing kind of person. Also known as perfectionistic. And no, it’s not really something to be proud of. Perfection – or nothing – will leave you with very little accomplished. 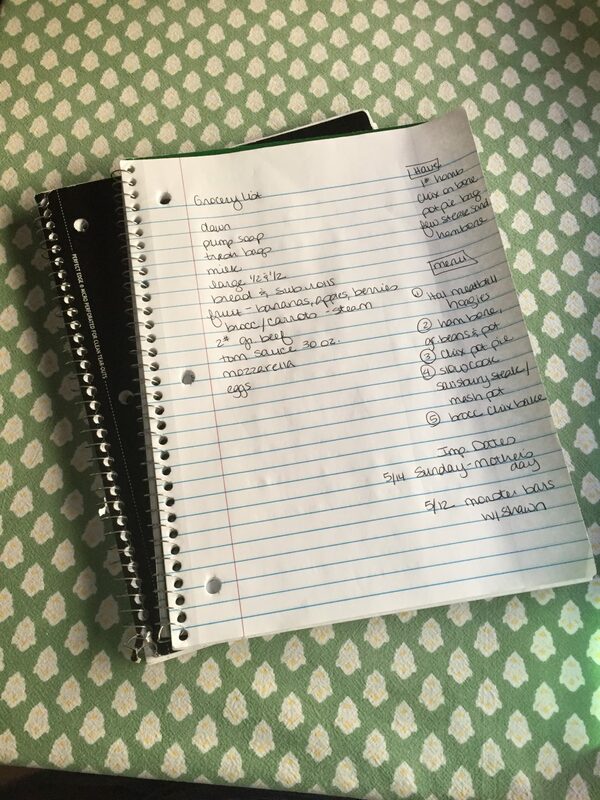 The younger, unwise me would want to plan out a full week of varied recipes – using every cookbook I own – or not having time for that level of nonsense – I would “wing it”. Also very very bad. No wing-age. Trust me. The natives get hungry and they will hunt you down. First, I jot down any appointments in my phone onto paper. This makes them real to me. They will happen this week. Ready or not. Then I look in the freezer and see what I have that might make a meal. The goal is to use freezer items first, if possible. We live in an RV and space is at a premium. No pantry or extra freezer space is available right now. I still buy my meat on sale but I just use it quickly. I make a list of 5 dinners. To stick with the happy medium rule, they cannot be long, challenging recipes. Mostly family favorites and easy meals. The other nights are for leftovers or more realistically, a date night or pizza night. We all do different things for lunch. My husband often takes leftovers to work, but my son eats the same exact thing every day! It boggles my mind. My lunch changes every day. I like maximum variety on the food front. After the dinners and lunch items are written, jot down any essentials that are low. Toilet paper, soap, milk, anything basic. Add those. My list still shouldn’t be crazy long. Which I like! And my budget likes! The last thing to add are tasks to be done this week. I don’t do this every week. 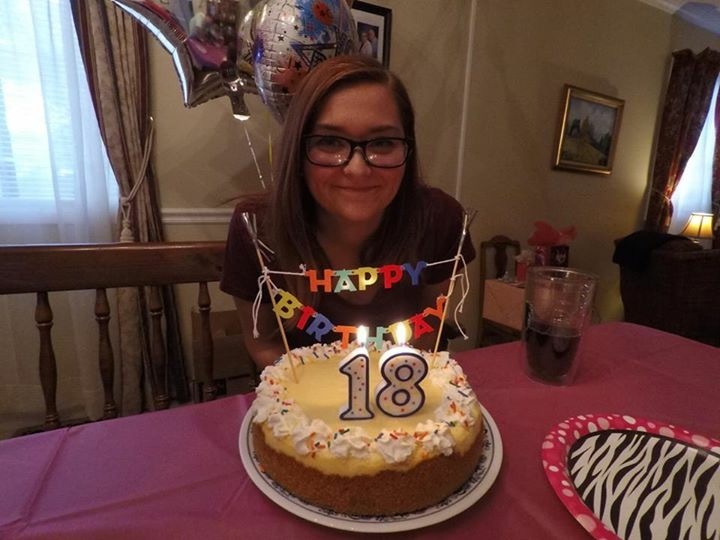 Last week was my daughter’s 18th birthday so I listed a night to get some cards and gifts to that week’s plan. I also needed to make the cheesecake in time for it to chill overnight. This type of plan is super flexible. Our life is very last minute. Someone might call and want to meet us for dinner. If I have something in the crockpot for dinner, I can easily store that to reheat the next day. So we will go ahead and use one of our nights “off” the menu. If someone gets sick, I can pick the easiest or least spicy meal. If my husband works late and eats cereal before bed, I can move that meal to lunch the next day. I just pick what seems best at the time. I will show you my paper wall calendar. Yes! Chick-fil-A. I love my calendar card which comes with this fun calendar. See how lonely and empty the squares are? That is because it is ALL in my spiral notebook. Which I can easily take anywhere I go. 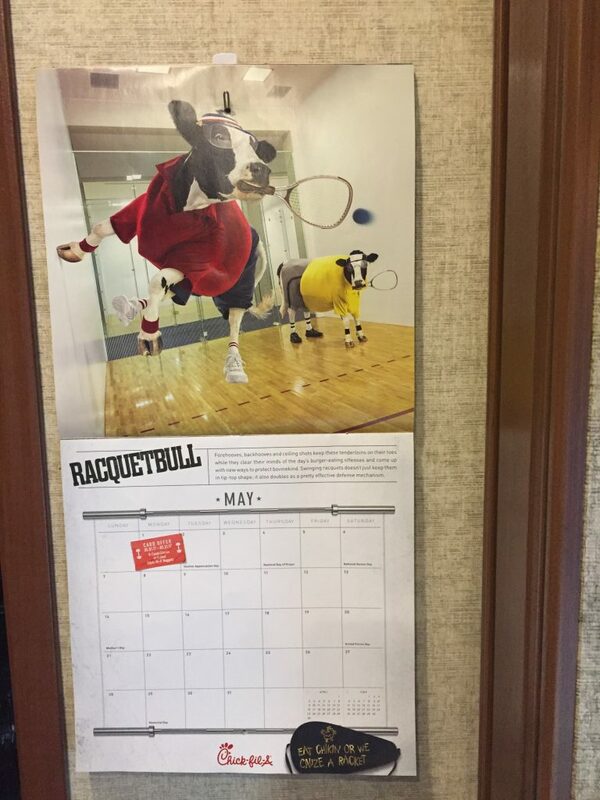 The wall calendar, not so much. I do love journals and all types of organization products. The smell of sticky notes is intoxicating. Reams of paper make me feel prepared for anything. I am at home in the office supply store. Being in love with all things paper, I used to buy a homeschool planner AND a yearly calendar AND a desk calendar. But at the end of the year, only half of the book/calendar would be used. I hated throwing it away. It felt like such a waste. Spiral notebooks free me from all that guilt. I only use the paper I need and it is incredibly cost effective. I have been using spiral notebooks since last fall and it is the #1 most helpful tip I learned last year. If you are a list-maker like me, try it!